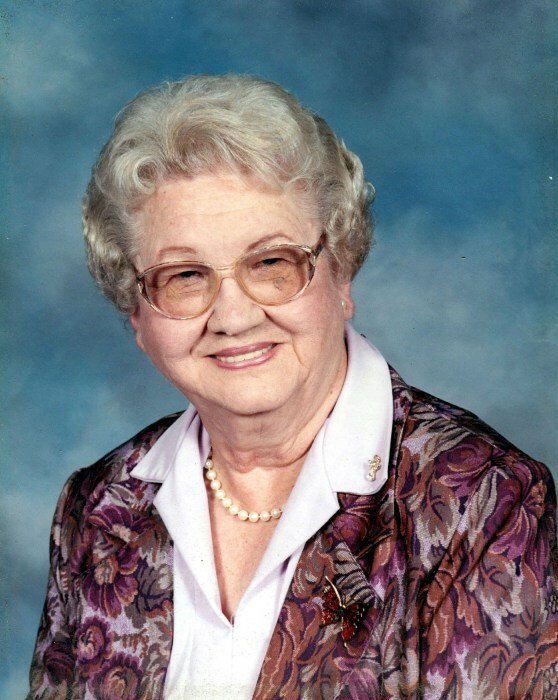 F. Ella Allen, 88, of Quincy, passed away at 11:05 p.m. Tuesday (February 12, 2019) at Bickford of Quincy. Born July 11, 1930 in Quincy, Ella was the daughter of Orville and Anna Wellman Bailey. She married William L. "Bill" Allen on August 24, 1949 in Salem Church in Quincy. He preceded her in death on March 13, 1989. Ella was an active member of the Fraternal Order of Eagles Women's Auxiliary where she enjoyed playing and helping with Friday Night Bingo. She was an avid bowler in the 'Spare Time' Friday Night Bowling League and served as League Secretary for many years. The league honored her in 1987 for her many years of dedication as League Secretary. She and her husband Bill enjoyed taking family vacations and fishing trips to Minnesota. Ella had a flourishing flower garden and her attention to the roses showed her abilities which she proudly displayed. She was a gifted cake decorator and would decorate wedding and birthday cakes for her family and friends. Ella was a 1948 graduate of Quincy High School. Ella would recall with love and kindness the years she operated a licensed day care and was always happy when she interacted with her day care children as they matured. Survivors include two sons, Steven K. Allen (Mary Anne) of Camarillo, CA and Robert D. "Bob" Allen (Terri) of Quincy; six grandchildren, Jason W. Allen (Amy) of Vienna, VA, Darron R. Allen (Allison) of Commerce City, CO, Kristin Bradfield (Scott) of Ft. Collins, CO, Christopher A. Allen (Fiance', Erynne Davis) of Ventura, CA, Michael Boccone (Lauren) of Fresno, CA and Nicholas S. Allen of Camarillo, CA; eight great grandchildren, Mackenzie Allen, Bailey Allen, Claudia Allen, Oliver Bradfield, Aubrey Boccone, Lincoln Boccone, Anson Boccone and Easton Boccone; a brother, Larry Bailey (Letha) of Quincy; a brother in law, Eddie Allen (Donetta) of Quincy; and many loving nieces, nephews and cousins. Mrs. Allen was preceded in death by parents; her husband, Bill; and a sister in infancy, Joanne Bailey. Funeral services will held Friday morning at 11:00 in the Zehender Robinson Stormer Cookson Funeral Home with Pastor Steve Disseler officiating. Burial will be in Quincy Memorial Park. Visitation will be Friday morning from 9:00 until the time of services at the funeral home. Memorials may be made to Macular Degeneration Research. The Zehender Robinson Stormer Cookson Funeral Home is in charge of arrangements.